Zachary's- a Berkeley student staple even though it isn't even in Berkeley. Especially the one pictured here, it's in Pleasant Hill! 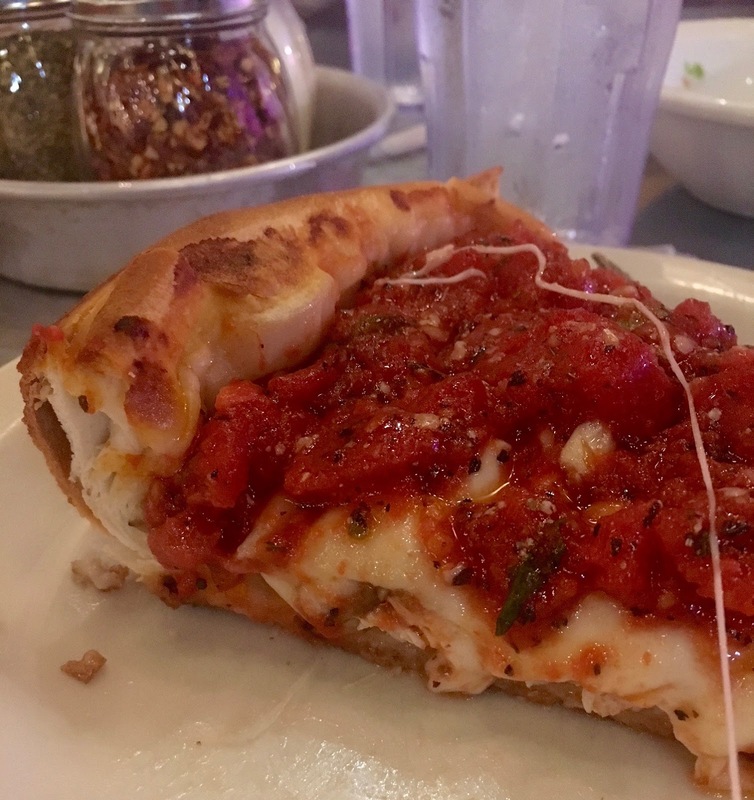 I don't get deep dish pizza that often, mostly because there aren't that many deep dish places in California. 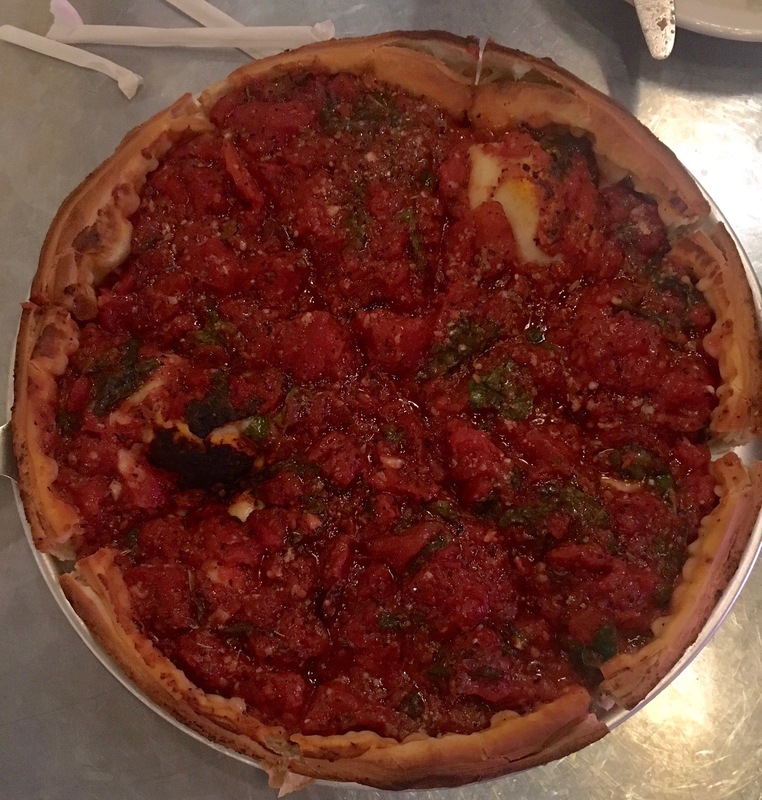 It's basically Zachary's, Little Star, Masa of Echo Park (which I've never been to) and Hollywood Pies. 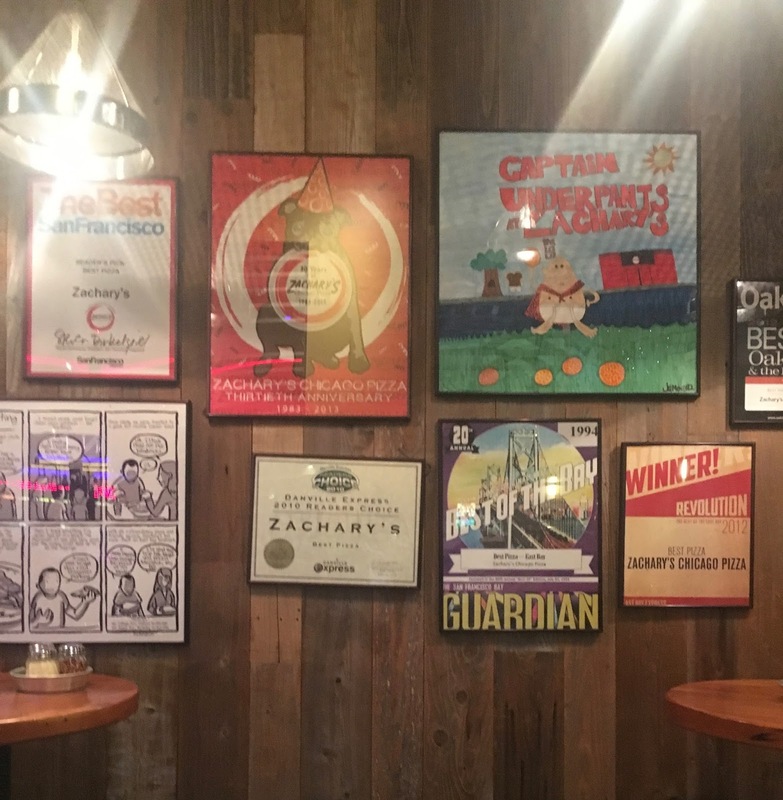 Interior: Every Zachary's is filled with Zachary's "art" on the walls. I'm assuming they are made by Zachary's fans, but I've never really asked. Mostly it's inserting Zachary's and pizza into other pop culture art. It's always fun to see and potentially add to the 'gram. Menu: There are a lot of choices and sizes. 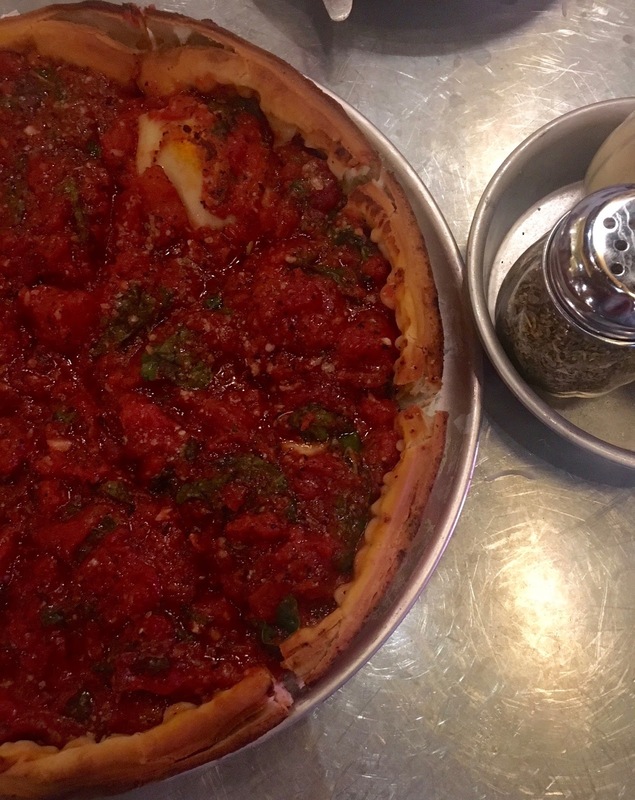 Each deep dish pie takes about 30-35 minutes to make, so you have the option at the hostess stand/bar to preorder a pizza if there's a wait for a table. Last time we ordered, we got the Spinach & Mushroom, which was also great and a good vegetarian option. We also started with a half caesar that came with those yummy pencil-stick breadsticks and lots of croutons. Yum. Chicken Special Pizza: For some reason the slices I got didn't have very much chicken or mushrooms in them. They did have a lot of cheese though and tomatoes, which is fine with me. The occasional surprise piece of chicken was appreciated though. The dough was very good and tasty. I would recommend cutting the crust off and eating it like a side with the rest of the pizza, instead of saving it for last. 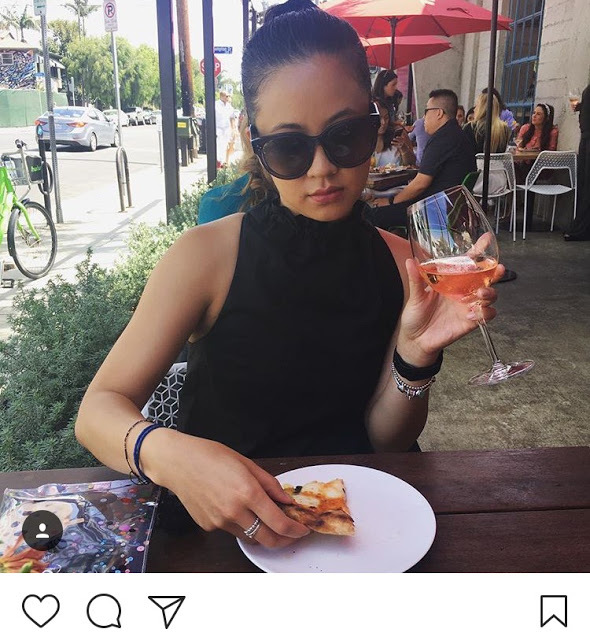 Instagram Opportunities: I mean, that side view of the slices is picturesque. I might even post it after I finish writing this. The full pie itself is not that gr8 for flat lay shots. You have to eat each slice with a fork and knife so it mostly looks super messy on your plate. I would say that the Zachary's art would make for good instas too, if you can get a good shot of one you like without disturbing the other patrons!